Kick it up a notch! A big, fat jalapeño that’s perfect for salsa. Award-winning peppers are a good size: 3-4” long. Stocky plants are loaded with hefty, thick-fleshed fruits from mid-summer until frost. Excellent for roasting, stuffing, drying, pickling or just slicing up fresh. The redder they get, the hotter they get! Scoville rating: 2.0-4.5. Deer- and rabbit-resistant. Photo courtesy of Baker Creek Heirloom Seed. Start indoors 8-10 weeks before last frost. Sow 1/8” deep in sterile planting medium. 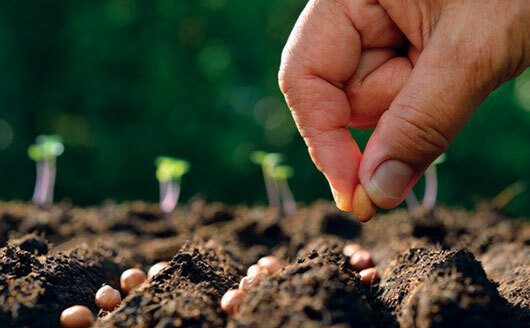 Sow outdoors: Only if soil temperature reaches 60º early in your area. I have 4-5 plants in a 3' row, planted in late-April/early-May this year and took my first peppers the last week of August. Now in October, I have taken over 20 peppers and have another dozen close to picking with yet another dozen in earlier stages of growth, plus half a dozen or more flowers yet to fruit. Great spice as expected from jalapenos. I have been picking earlier than I want to keep the plants producing, but even this "early" picking still yields about 1" diameter peppers. This would be a great variety if you like to share, want to can, or just really like eating jalapenos. I plan to sow for the same number of plants next year since we have friends and family to take the extra peppers that we don't use. Thank you so much for your 5 star review. We really appreciate you taking the time out to share your experience with these seeds. We count ourselves lucky for customers like you. We look forward to being your partner at growing your own legacy.